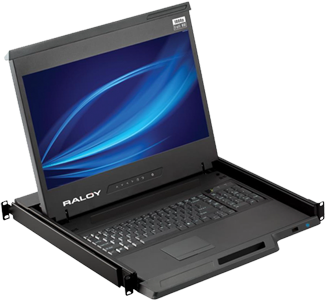 1U LCD drawers allow the LCD to remain in the OPEN position when the rack door is closed and are available with 17 or 19" SAMSUNG Class A LCD panel. The RP series of rack mount LCD drawers are specifically designed to save valuable space in the rack mount environment and can be used for either industrial, broadcast or security applications. 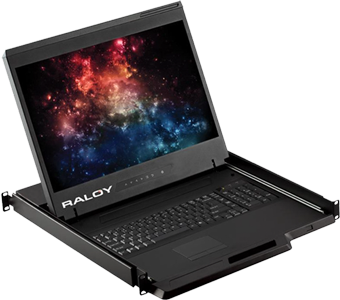 Other key features include front access to the on screen display for easy screen adjustment and optional video connectivity described below. The RP series LCD drawers are available with options covering AV Composite video, S-Video, BNC and DVI in addition to this they can be supplied with DC voltage input and either USB or Serial touchscreen controllers.